Thanks to athleisure, those who covet coziness can mix lounge-worthy pieces with dressier outfit elements. What’s the best-loved (and easiest to dress up) staple of this trend? Look no further than the modern jogger pant. These soft bottoms once reserved for jazzercise and couch-cruising have been reinvented with diverse executions suited to just about any look or occasion—even dressing up! Here’s how to dress up your joggers. 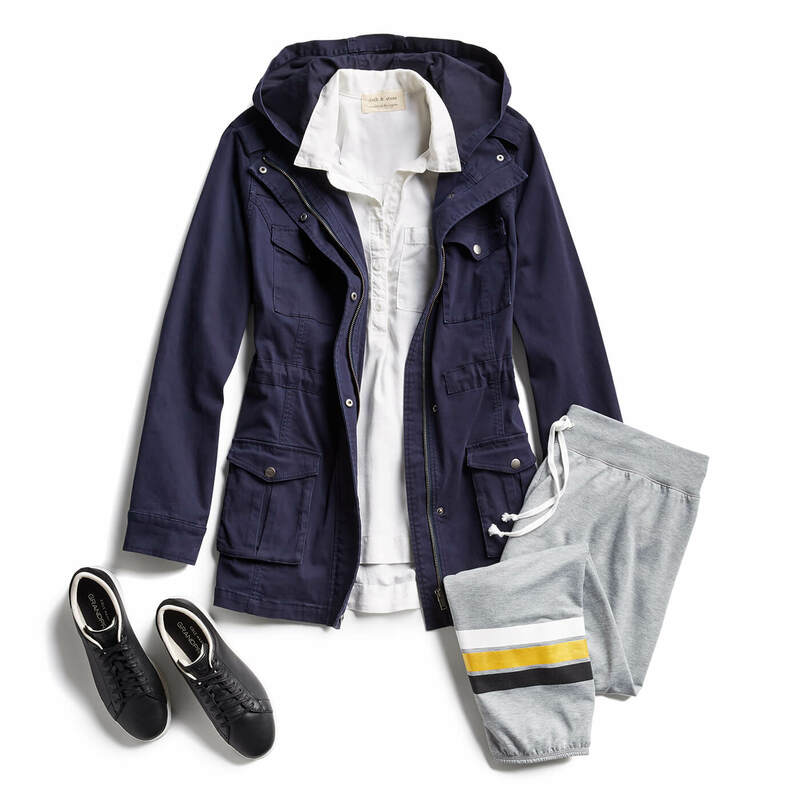 When seeking joggers suitable for more than binge-watching, start with the right fit, material and overall execution. Look for polished, tailored silhouettes that aren’t too slouchy. Then reach for materials that are high quality and elegant, like luxe cashmere, sturdy cotton, as well as Tencel and silk for a slinkier feel. Have dinner plans with that special someone? Or maybe taking in some live music? Don’t count your joggers out. Opt for a cool pair in cotton, silk or Tencel and add a vintage tee and moto jacket and a statement necklace with block heels or booties. This is your chance to really push that casual-meets-polished combination! The right layer can really punctuate your joggers and help you achieve a dressier look. Long and dramatic duster cardigans add interesting proportion, while modern moto jackets add sharp edge and instant style credibility. With a veritable smorgasbord of variations and styles, you can opt for a little extra comfort for your next dressy occasion with a look featuring your favorite joggers. How are you going to dress up your joggers? Tell us in the comments below!